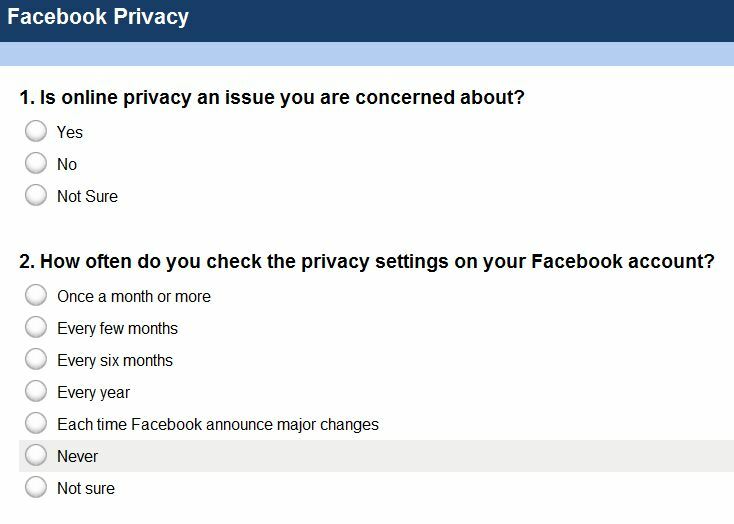 We’re conducting a short survey on Facebook Privacy and would be grateful if you would take a minute to answer these five multiple choice questions. All responses are anonymous and your feedback would be greatly appreciated. Results of the survey will be shared here in our blog next week. Take the survey now. Thanks for participating.